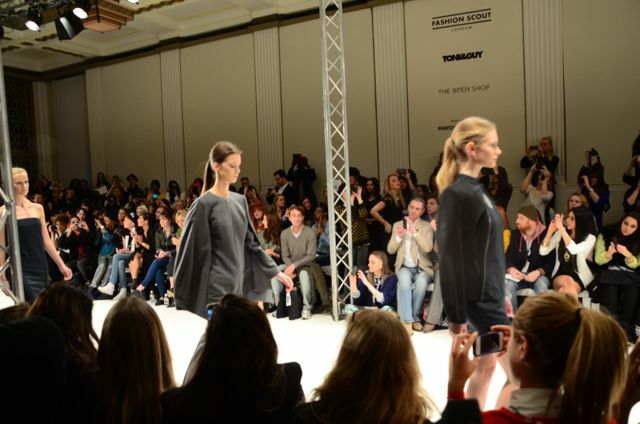 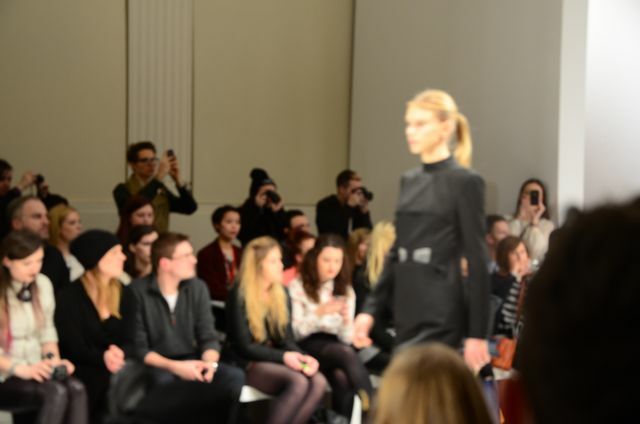 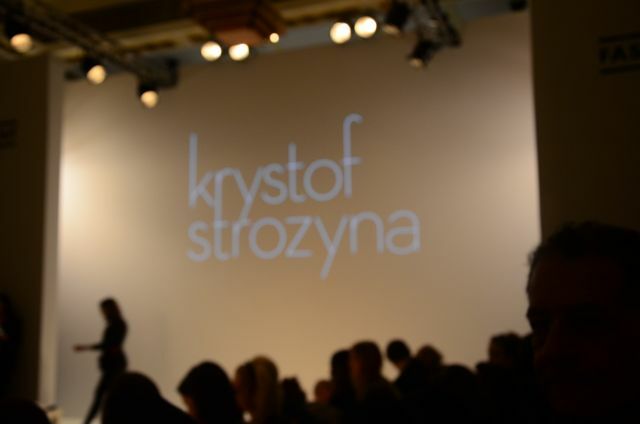 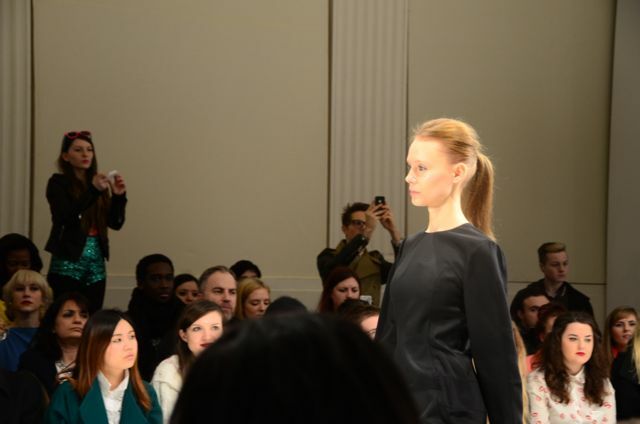 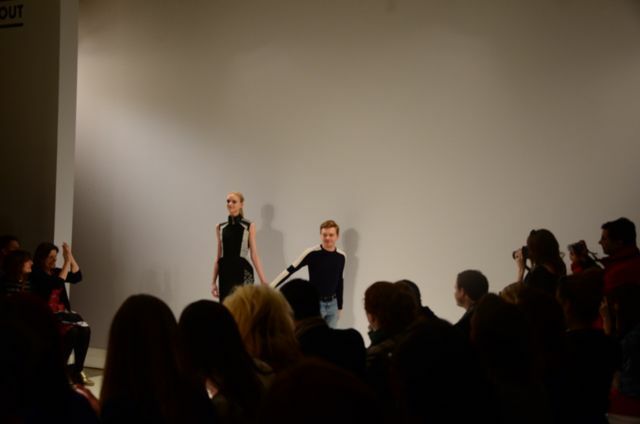 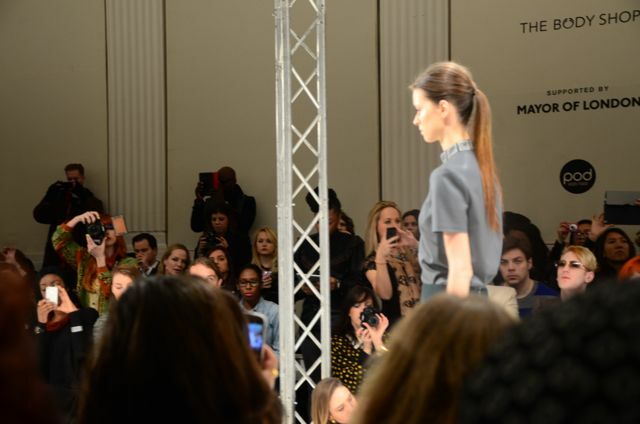 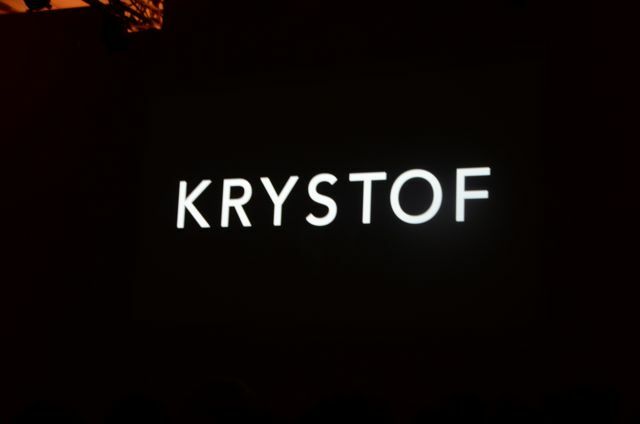 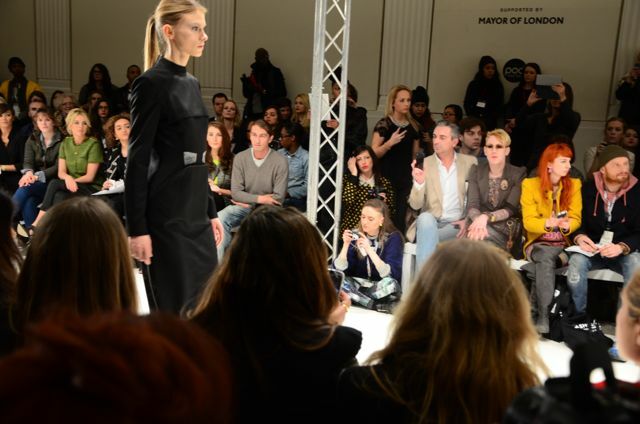 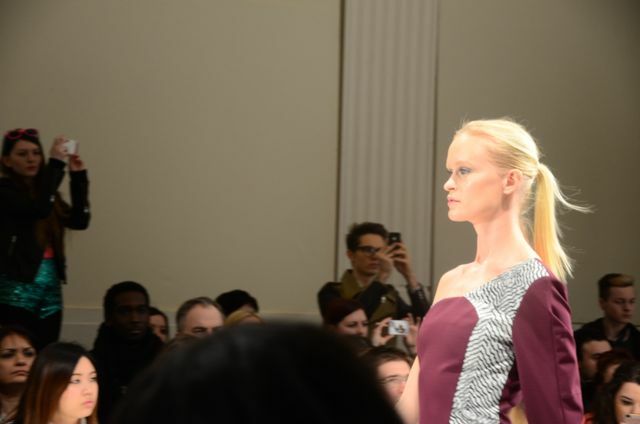 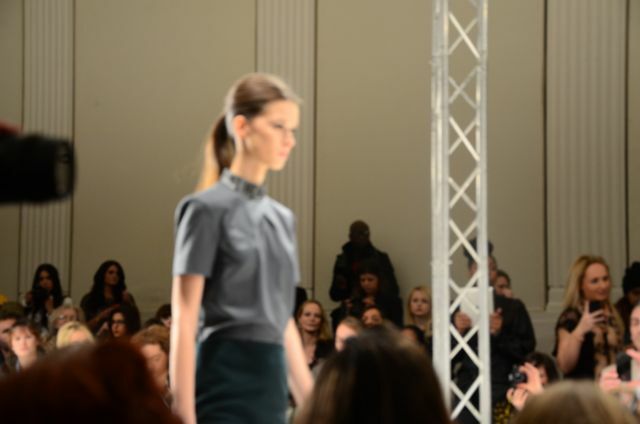 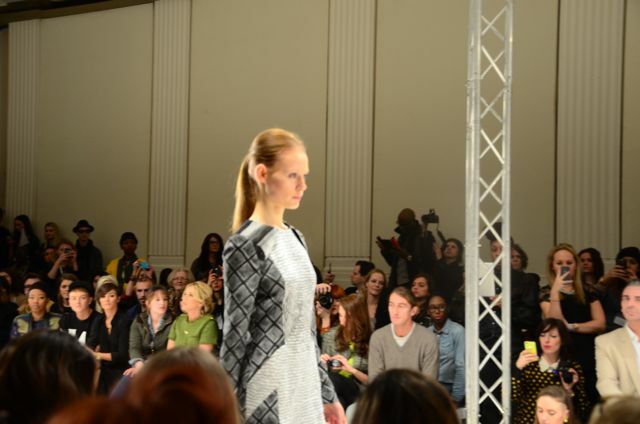 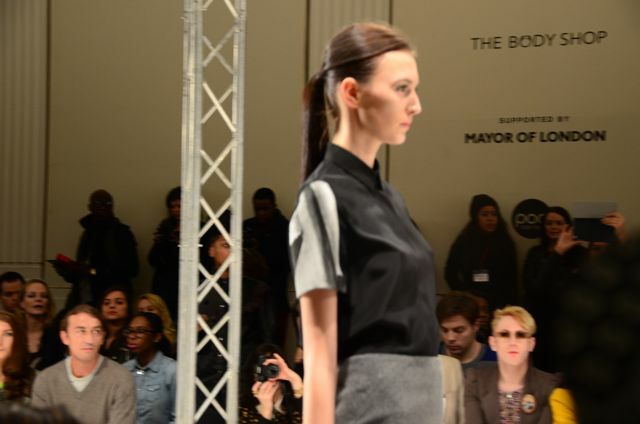 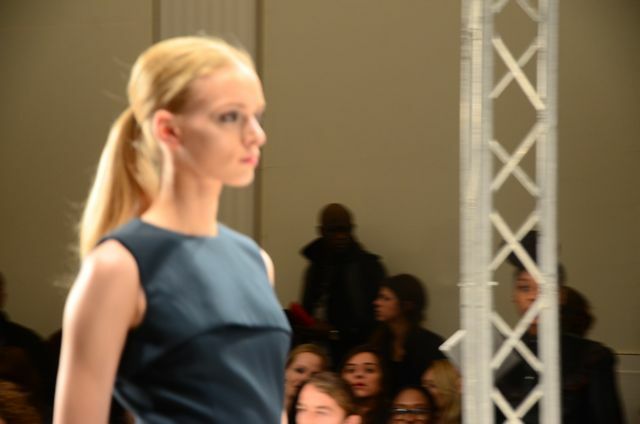 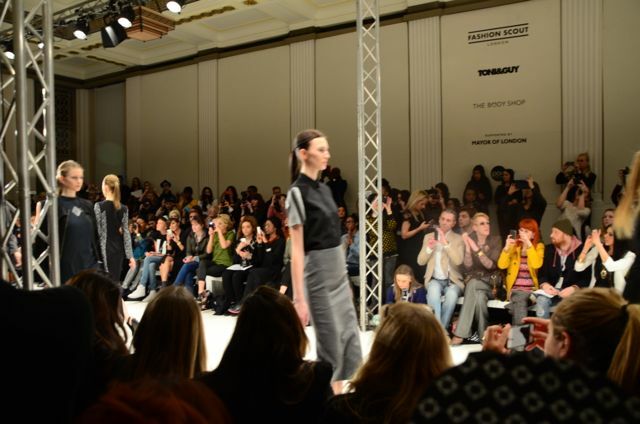 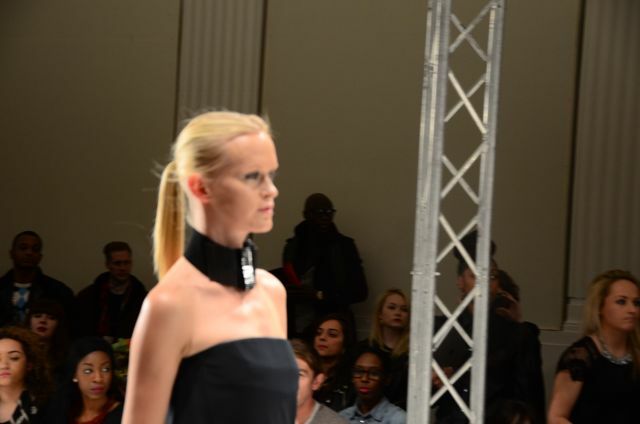 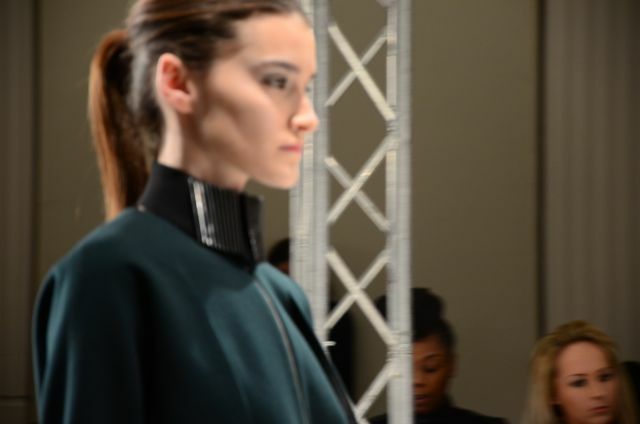 Krystof Strozyna is not a designer that was previously on my radar, but after seeing the AW13 collection at Fashion Scout, he certainly is now! 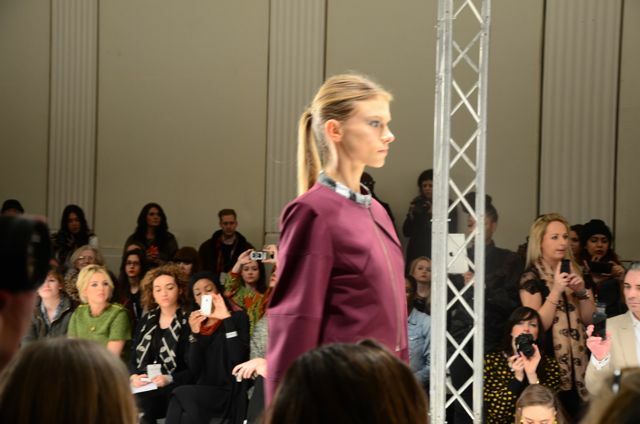 Mixing classic tailoring with modern accents & accessories, this collection is beautiful, wearable, modern and feminine, yet not at all boring. 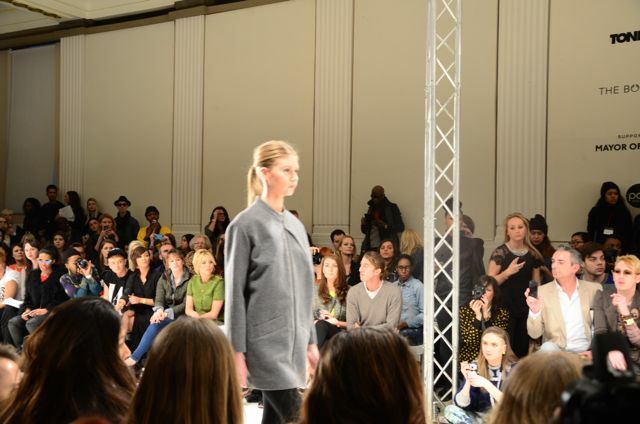 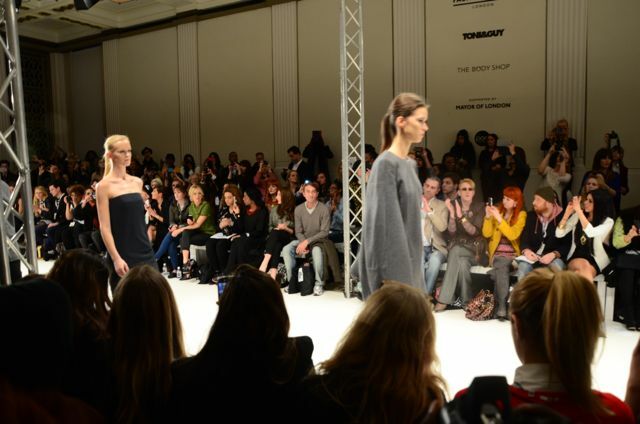 The A/W13 collection featurs looks primarily in black, grey, berry and teal in a variety of fabrics and textures. 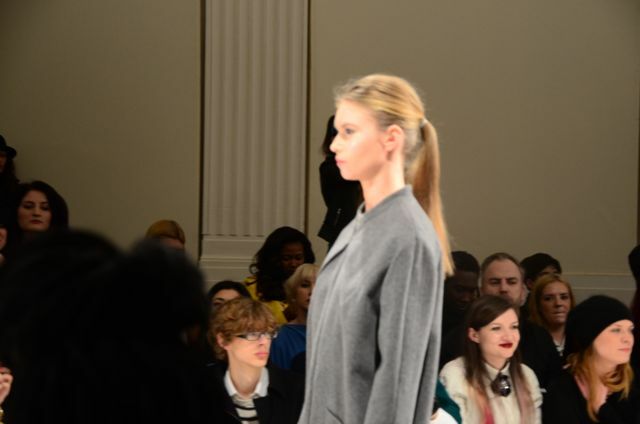 Sleek ponytails and minimal make-up allowed the clothes to shine on the catwalk, more particularly the intricate neck details on many of the looks. 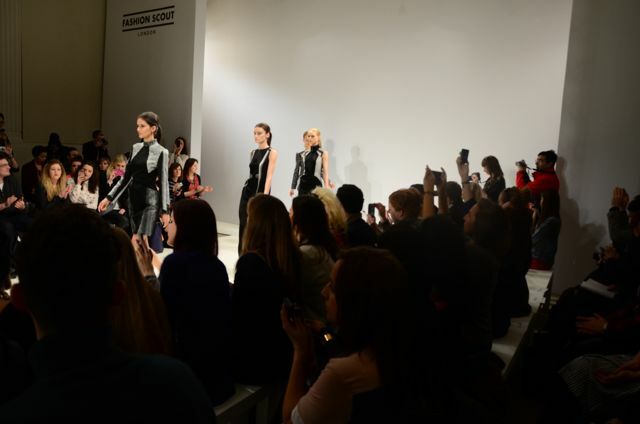 Of course I loved the first song of the show by Lady Gaga - music is such an important part of the production value of a fashion show! 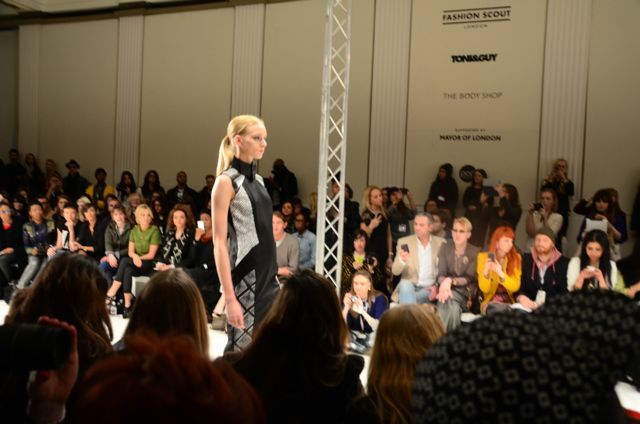 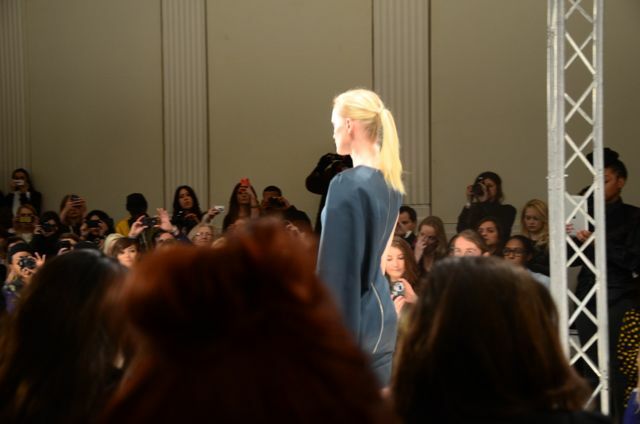 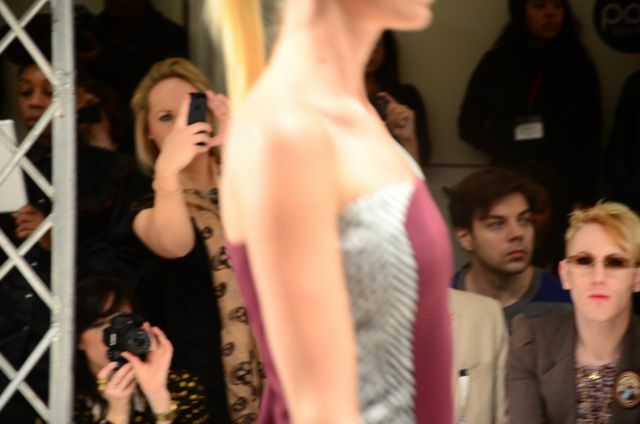 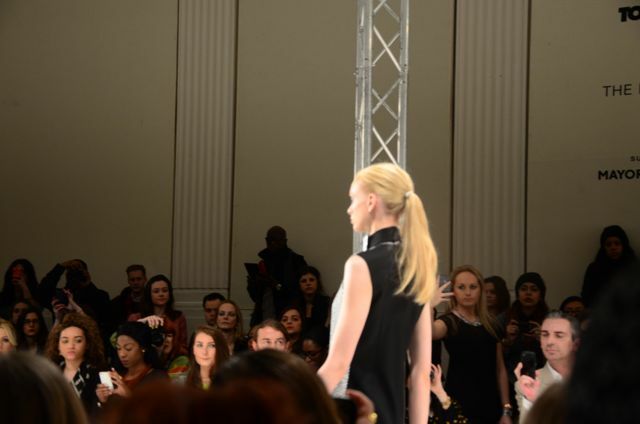 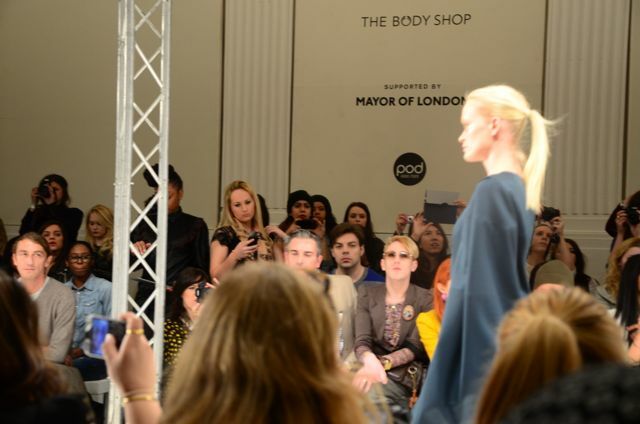 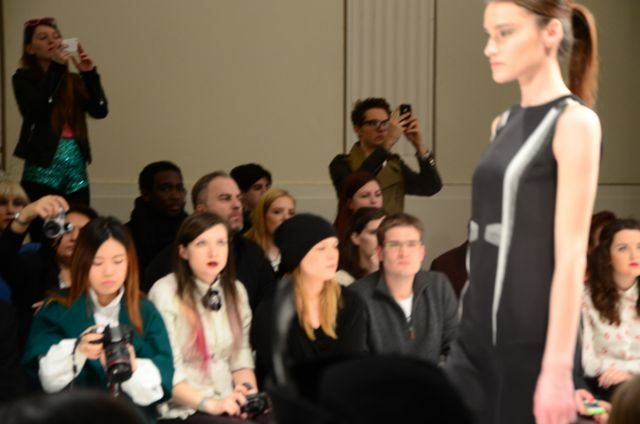 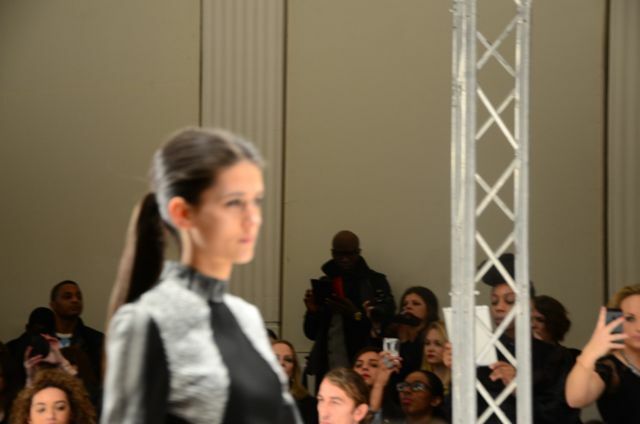 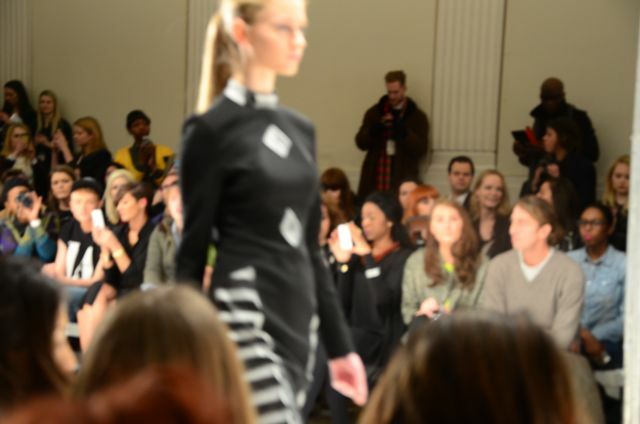 This was the first show I've ever see at Fashion Scout and it was amazing. 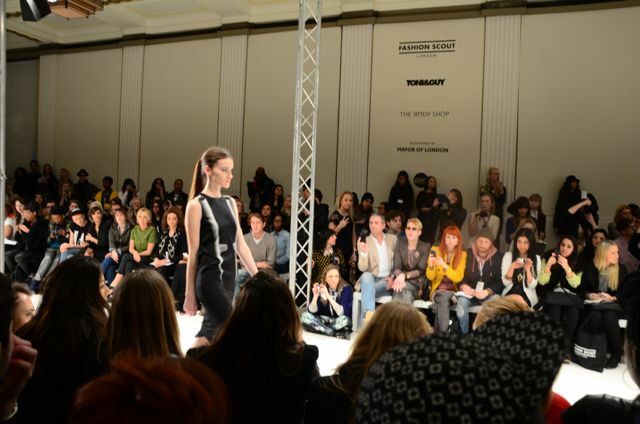 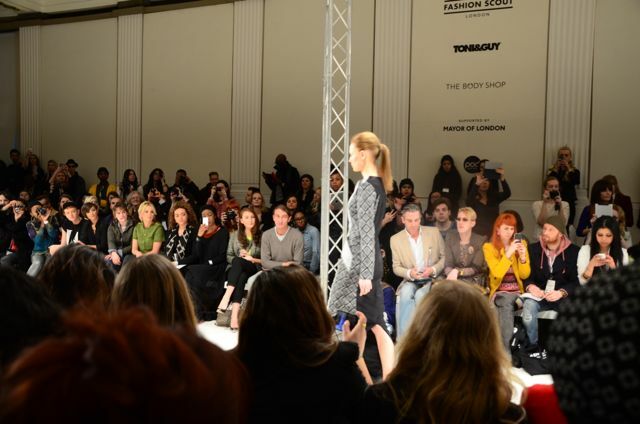 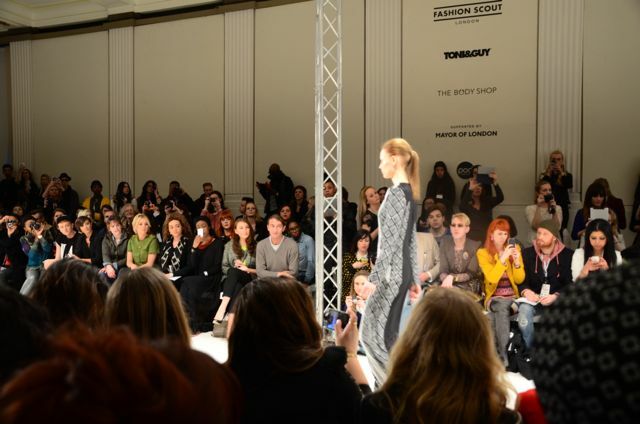 The venue was great and everything went smoothly - I hope to see many more Fashion Scout shows in the future!